the building and moved back to the city from their former home in the suburbs. Latin America, where chicle was harvested, and its proximity to sugar cane refineries. Varnish, which remained on the site until the company closed in 1959. The building was placed on the Register of Historic Places in 1998. American Chicle employees at a gum-wrapping machine, about 1915. Several companies came and went, until it was abandoned after the levee failures in 2005.
building with an eye toward preserving as many of its original features as possible. Marine Paint and Varnish Company. 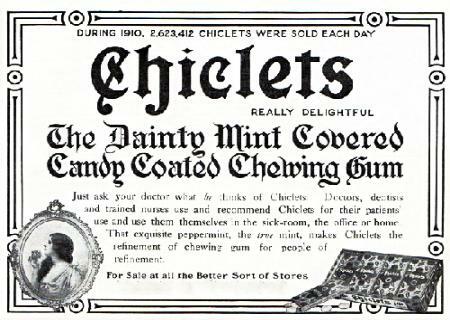 Chicle Company. The ads below are from 1911 and 1912.